The #1 reason our customers refer us to friends and family is our quick response and quality service. We back that with our 100% satisfaction guarantee. Meaning we will do whatever it takes to make sure that you are completely satisfied! DRYmedic® does not contract out work. Our technicians are all DRYmedic® employees who receive regular company training. Because of this dedication to training, we complete repairs faster the first time. Many restoration companies use subcontractors who they must train before each project. With DRYmedic®, you’ll get the best restoration service from an experienced, trustworthy team. Dealing with insurance adjusters can be stressful. Fortunately, DRYmedic® has built relationships with most of the local insurance companies. We understand the terms and can speak to them directly to ensure you get the most from your coverage. 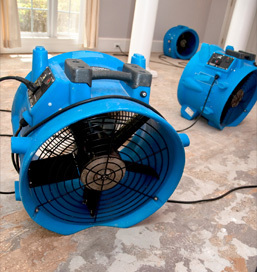 Whether your disaster is covered or not, DRYmedic® will manage the project from start to finish. Our in house crew will keep you informed every step of the way so you’ll never be surprised with unexpected bills or delays. Our sole focus is to restore your property in the safest, fastest manner with minimal disruption to your family or business.